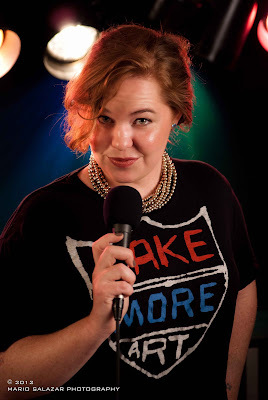 OK ... so you are a performer and have written a one person show ... you want to produce your one person show but WHERE will you perform your show? What steps do you take? How will you promote it? Ask as many questions to as many people as you can prior to setting up your show ... and when looking for locations try out of the box thinking. Here is an article I read about how to put together your one person show. One location for a show was at a beauty salon! Brilliant! This is the kind of thinking you need when producing shows ... don’t limit yourself or stiﬂe your creative soul by thinking your show “Needs to be a certain way” or follow a certain format. Literally ANYWHERE could be your venue. Think outside of the box ... after all this is the Liberal Arts right?! There are a couple of other thoughts I have on this venue thing ... can you ﬁnd a room with a stage and lights which will let you perform at no charge? You can? Perfect. Free is best ... but make sure you make it worth while for the venue owner. They may want to charge cover but above all let them know you will be bringing in new business for them which is win win. What if you ﬁnd a space though but the room is less than ideal and can only seat a few people, has bad lighting and acoustic issues, then what? Keep looking! What about a local theater which will seat up to 80 people? Great! One draw back, they charge rent ... but it’s reasonable and you will make your money back and then some if you sell out the show. What if you want to do your show in a big city though with tons of people? Those little theaters can cost quite a bit to rent out so how do you chose? First do your research. Talk to friends who have produced shows before and get all of the facts. The hidden facts are probably the hardest to come by though. I have heard of small theaters which claim to be “helping” the Arts community, but it ends up being a bad experience for the performers or producers who could not sell out the show. Finding out those details after the fact may leave you, the performer or producer $1000’s out of luck. Those are the details you need to research ahead of time. See if you can work out a deal though ... sometimes people are willing to negotiate. If you are on a budget, you should try to stick with that. Going overboard will lead to you doing your one person show out of your cardboard box in the alley next to the 99% movement ... which may not be such a bad idea ... invite the 99% to your show? See what happens. CIC Theater is one place that I have personally looked into. I would love to do a show there when I am ready. They have a rental fee with no hidden cost to the performer and no secret agenda. Are there any other places like Chemically Imbalanced Comedy Theater though? I wonder ... 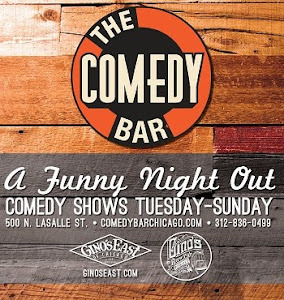 I know there is always a bar nearby which may want to have Comedy shows, but is a bar always the right venue? Lots of drunk people, comedians walking in and out between sets ... even if the stage and lighting is set up right and the TV’s are turned off there is something lacking about the bar environment. I mean, it’s a bar ... not a bar/theater. If you do have a bar venue, make sure the roomfor entertaining has good lighting, a stage and if you are lucky acoustics. Make sure the noise from the other parts of the building do not ruin your show. Really do your research ahead of time! There is a payoff and the payoff is QUALITY entertainment. Gorilla Tango Theater has opportunities for performers to produce shows, and plenty of room to audition for existing shows. I have not had much experience with this theater other than checking it out for myself. So far I love it. There are two locations, one in Skokie and one in Chicago. 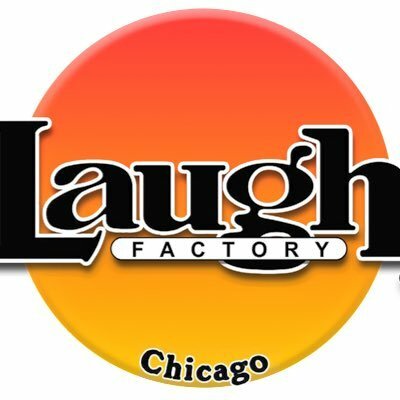 The location in Chicago is an 80 seat venue on Milwaukee Avenue and there is free parking after 9PM (don’t quote me I was just reading the meter) ... and this could be a great place for shows. My recommendation is to check it out for yourself and if the rental agreement suits you then go for it! The location is Skokie, IL is 180 seats and a very beautiful room ... could this be the ideal location for your one person show? So you have a following and you have an solid show idea ... AND you are ready to produce your show and make your dream a reality. You have a few locations picked out, but still want to do a bit more research ... I have heard The Chicago Dramatist Theater has a class “writing a Solo Show” which would be a great beneﬁt to anyone considering producing a one person show. My thoughts are take this class (or a similar one) ﬁrst - THEN do your show. The school at the Second City has classes speciﬁcally designed to help students develop solo shows ... why take one class when you can take more than one? Want to rehearse your show ﬁrst? Good idea ... CIC rental fees are $12 per hour last time I looked into it and that is a very nice group of supportive people. You need support, you need encouragement and you need to have a developed act. If you have a following or fan base then you are good to go! If not, I would suggest going to see a few one woman shows ﬁrst, develop your act a bit further and then dive in. You can’t get out to see all of them though - so maybe a quick youtube search to see what is out there too? Get a feel for what has been done in the past ... collect your thoughts and bravely follow your dream. My thoughts on a “following” or “fanbase”: It’s not unrealistic to expect to have a modest following if this is your chosen career path. A hairdresser or massage therapist who has been working for years in their ﬁeld would need to have a solid following of loyal customers and in show business it is exactly the same. Look at it this way, you are a service provider and you have a quality product you believe in. What’s that you say? You don’t believe you have a quality product? Oh ... I see ... good day then. People will move on until they ﬁnd what they are looking for and so if you appeal to a group of people then work it! Fears will come up and then you will have thoughts like “What if I am aweful? What if no one shows up? What if this is a terrible failure?” OK ... well, as I have said earlier this is what writing out and developing your show is all about ... you didn’t hear me mention that? Well, let me tell you again WRITE EVERY DAY and well, whatever you’re not going to listen to me. You have to write it out - develop it (the idea, show, act) and then rehearse it until it is a part of your very being. It’s quite possible you will be awesome and that you will have more than a few people turnout and it will be an amazing experience for you. Don’t give up on yourself before you try this one person show idea! One last thing I would like to mention is don’t forget to promote your show! Get on the Twitter, get on the Facebook, create an ‘event’ page and invite everyone you know. THEN - go out on the street and talk to people and invite them to your show. Do not expect you will be a success by simply tweeting one time - giving up and then blaming twitter for your fail. You should be using EVERYTHING in the book to promote your shows and fear of talking to people is not in that book. Fear of inviting people is NOT in the book of producing and promoting shows. Trust me ... it’s not ... and do not assume people will remember to read the invite! Really call people and really invite them. Go out of your way to let people know you want them to attend your show and that it truly means the world to you that they are there. If you ‘forget’ to invite people, promote the event or tell anyone what you are doing .... please do not be shocked that a million people did not turn up. Even big Giant Mega Celebrities have to promote shows... maybe they can get away with less actual work and rely on their loyal following ... but something tells me that the most successful people are the ones who ALWAYS go above and beyond no matter how “Big” they become. Well, good luck & remember to have fun ... this is not America’s Got Talent after all ... and no one is going to give you a big giant X after 30 seconds of performing.